Location: Choose a location and/or atmosphere that you feel comfortable to be yourselves in, whether it’s in the comfort of your own home or at your favorite park or beach. Or if you’re visiting a destination, talk to your photographer about locations that would be perfect for the session you are envisioning. Keep in mind of the type of backdrop you want in your photos (cityscapes, beach, park, alleyway, etc.). We want to make sure you love your images and the first step to getting those amazing images is finding the backdrop that you love! Lighting: Since I am a natural light photographer, I schedule my sessions for when there is optimal lighting. This often means right after sunrise or right before sunset. The only exception to this is if I am shooting indoors. 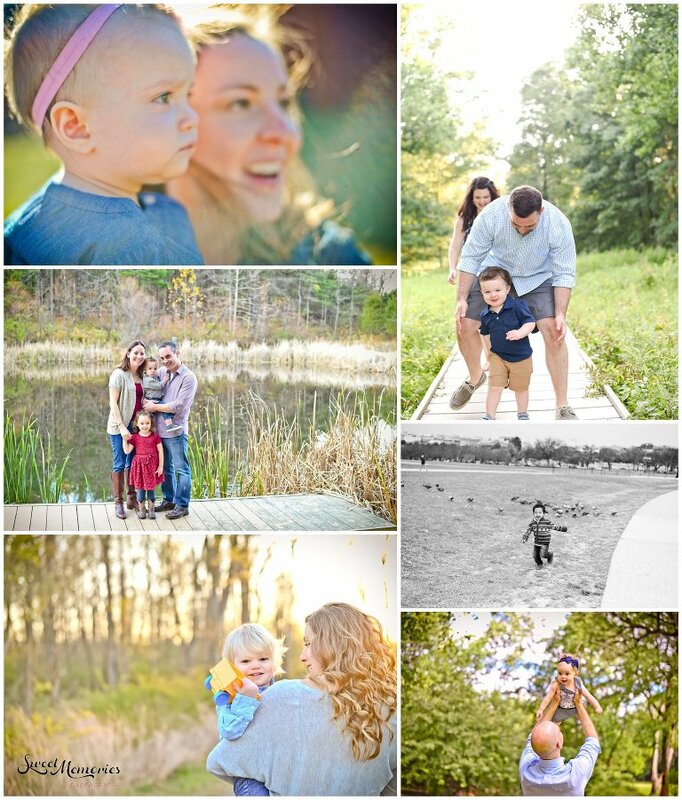 I will work with you on finding the best time for photos, and to work around your family’s schedule! What to Wear: The most important thing is that everyone feels amazing. Wear clothes that you feel great in, fit well, are comfortable, and compliment everyone’s outfits. Stay away from extremely busy patterns and coordinate, but don’t match! Stay away from wearing “matchy-matchy” outfits (example: everyone wearing white shirts and blue jeans). Depending on the location you choose, you may want to bring a change of shoes (i.e. cityscape with heels but bring a pair of flip flops to walk around in). Children/Newborns: Make sure that everyone is well-rested, fed, and hydrated. This makes a world of difference in the attitudes. Be sure to bring along a few snacks and drinks, as well as something to reward your children with. A lot of children respond well and give great smiles if they are reminded that they will be rewarded with a toy or treat at the end of the session, as long as they listen to the parents and the photographer. I know that children often get impatient and restless, so during our session, we will give them a few breaks within the hour we are together so the children can run and play, or have a small snack in between shots. It’s great to use these 5 minute breaks to get some beautiful pictures of you, the parents. Parents: It is best to leave the instructions to the photographer. You can get easily distracted with telling your children how to pose, when to smile, or when to look at the camera. It’s during these times that we, the photographers, will get cute ones of the children, but the parents are often looking somewhere else other than the camera, with their mouths open, or looking impatient and/or annoyed. So when the photographer says, “look at the camera!” be sure to look at the camera and allow the photographer to grab the attention of the children. Pets: We LOVE pets and welcome you to bring them to your session. In order to have a successful and adorable session with your pet(s), please allow your dog to run around the backyard or have a fun play session, and use the bathroom at least 30 minutes prior to our session. This will help keep their excitement down for our posed shots and decrease the amount of times we have to stop for bathroom breaks and clean up. Also, please bring a squeaky toy and tons of treats as this is the best way to get your pet(s) attention when we need them looking at the camera. Props: We welcome any props you may want to use, whether it’s your dog, the due date board, balloons, sparklers, etc. If you choose to bring props, depending on the size (i.e. balloons, pets, big signage), please bring an extra person as well! We won’t need those props in every photo but want to have them accessible! An extra person will help with this as they can hold the props/leashes while we have our fun! The most popular props are blankets, a sonogram, pets, and bubbles. We definitely ask you to bring at least one blanket for sitting purposes (we want to protect you and your clothes from either the sand or grass!) if we are shooting outside of your home. Try to keep the amount of props down to one bag, especially for when we are walking around. The less you have to carry, the less stress you feel! Timing: Be on time! This is one of the most important tips for an amazing family session. Sessions are scheduled at a specific time for optimal lighting conditions. Give yourself plenty of time to arrive at your session location. You never know whether traffic or parking will be an issue or if you run into any other uncontrollable situation. Arriving on time benefits you and the photographer – you will receive beautiful and beautifully lit photos, the photographer won’t feel rushed through the session, and the children are more likely to be less antsy. Trust: Trust your photographer to be creative, make you feel comfortable, direct you when needed, and provide you with some amazing shots! If you worry too much about controlling the session, you won’t have fun and neither will your photographer. HAVE FUN! Be yourselves, interact with each other and with your belly, be playful, laugh, and have a good time! Let your personalities shine! Have questions? Contact me … I would love to hear from you!